﻿ ALL ENGLAND 2018 QF – Super Dan on the run! ALL ENGLAND 2018 QF – Super Dan on the run! 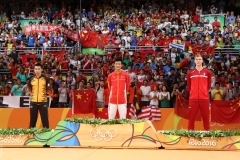 The legendary player Lin Dan earned his twenty-seventh victory over his greatest rival, Malaysia’s Lee Chong Wei, in a tremendous quarter-final match. Both players offered a majestic performance for their thirty eighth encounter after almost a year-long wait. Japan’s Yuta Watanabe proved once again to be Japan’s future spinal column in Men’s and Mixed doubles as he beautifully advanced, in both categories, towards the semi-final. 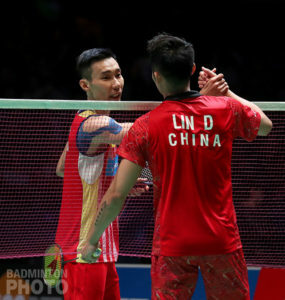 Undoubtedly the best rivalry of all time, “El Clasico” lived up to its expectation by offering another majestic performance between the two legends, Lin Dan and Lee Chong Wei. The thirty-eight edition came almost a year after their last meeting, thus the incredible enthusiasm surrounding today’s show. 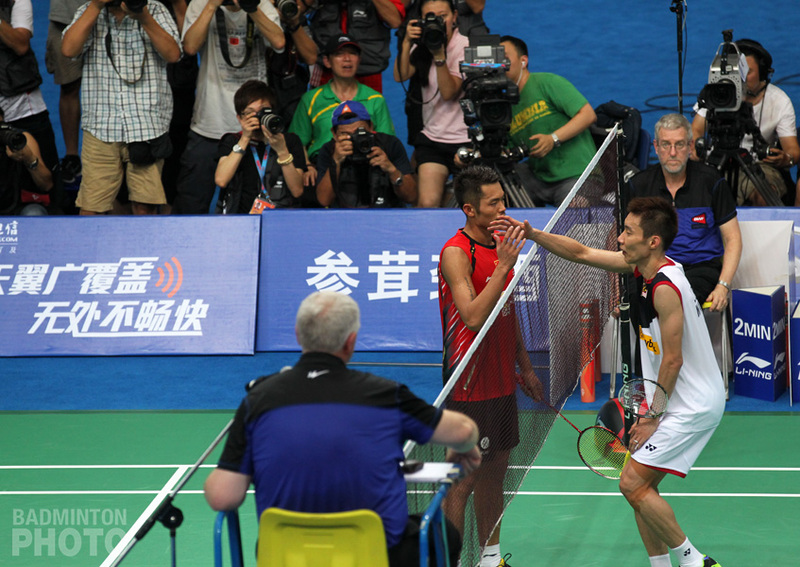 An encounter that could have been both ways, but eventually went to a much more convincing Lin Dan, grabbing every possible occasions to score with extremely accurate shots. The two-time Olympic Champions kept on emphasising his psychological advantage on the Malaysian star, giving him no chances to counter-attack another of his flawless game “We both played well today, we have met many times before but this one is interesting as we met at an earlier stage in this tournament which seemed to be a bit of a challenge for both of us” commented the former world number one. 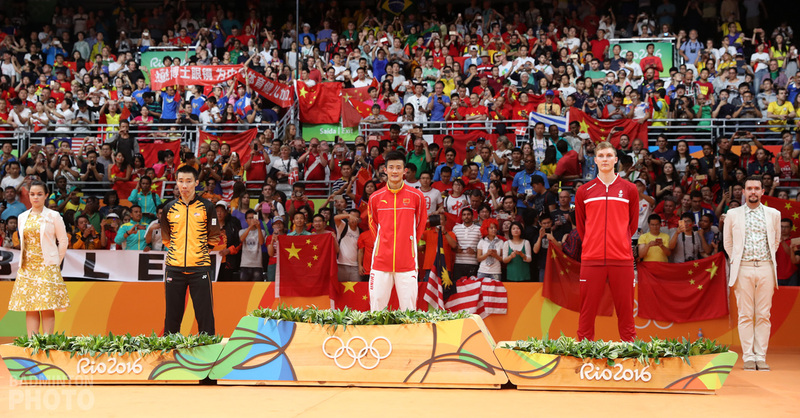 add some decibels inside the arena “The support was half half, half of Chong Wei and half for me with all the Chinese people living here and coming to support me, which is amazing and makes the atmosphere fantastic” added Lin Dan. The Chinese celebrity concluded his quarter final match in straight games, 21-16 21-17, getting his ticket towards the semis at the All England. The Japanese youngster strikes again in Birmingham, taking two spots in the semi-final in Men’s and Mixed doubles. 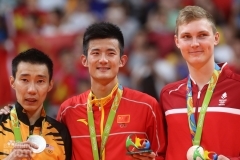 Earlier in the morning, the twenty-years old player displayed an amazing performance with his partner, Endo Hiroyuki, sending Chinese Taipei’s Liao Min Chun and Su Ching Heng out of the draw in only straight games. He then repeated his successful story of last year, by reaching once again the Semis in Mixed with his partner Arisa Higashino. A superb performance that, however, broke many hearts as they defeated England’s favourites, Gabby and Chris Adcock “We committed too many unforced errors, but that’s the sport really, We didn’t play our best today” commented Chris Adcock. 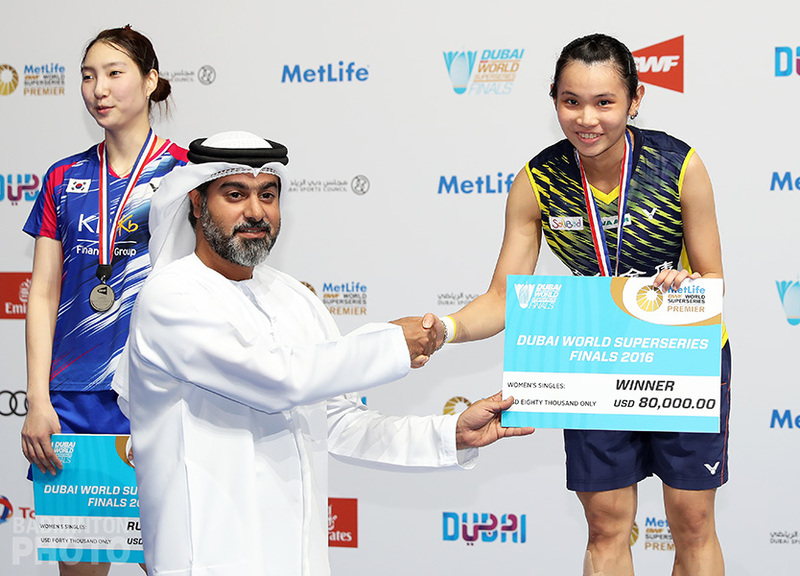 The two Japanese players took it the long distance, after losing the first game, 18-21, they both buckled up to earn their semis pass 21-15 21-15 in the last two games. Yuta Watanabe who seems to be back on track after after spending several months out of the courts last year, will certainly be eager to reach a step higher in this 2018 edition. 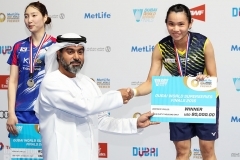 Watanabe’s compatriot Akane Yamaguchi also proved to be successful after she swept away the Olympic champion Carolina Marin in only two sets. Probably still feeling the bitterness of her defeat at home last September, Japan’s jewel came out the greatest leader on court, rendering it impossible for the Spaniard to oppose any resistance against the willingness of her opponent of the day. Akane Yamaguchi will now have to go through P.V. Sindhu for a place in the final on Sunday.